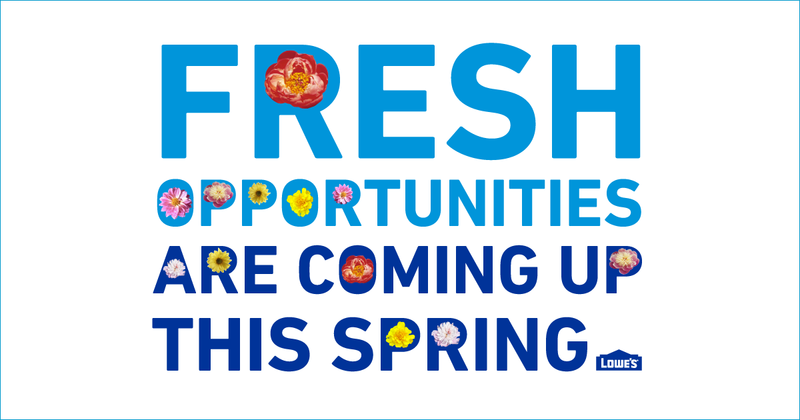 Interested in pursuing a seasonal role at Lowe’s? We have nearly 30 store locations across the country that will be needing your help to kick off our busiest time of the year. We are seeking more than 45,000 positive, hardworking and driven employees to add to the Lowe’s family between March and September. We have several in-store seasonal positions we are hoping to fill from cashiers and stockers to lawn and garden associates. Locate a store nearest you on the map and bring yourself that much closer to a 401(k), tuition reimbursement, a discounted stock purchase plan, and so much more. You might enjoy your time at Lowe’s so much that you decide to stick around after the busy season! After all, half of our seasonal employees transition into permanent positions.